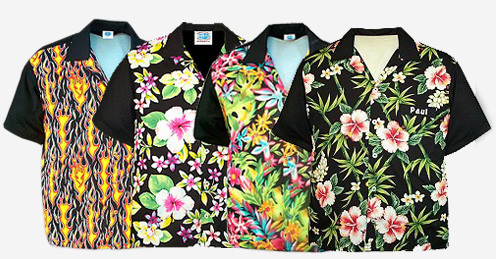 Our new style Hawaiian Team shirt is the all time classic shirt with the back, sleeves, and collar in a solid color that matches the background color of any of our fabulous 100% Cotton Aloha prints. You pick any of our available 100% Cotton fabrics and we will match the background color and make you one of these very cool shirts. These team shirts are also very classy and unique. 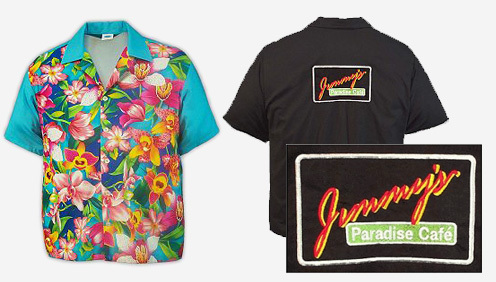 We will also embroider your company, band, name or team logo on them for you.